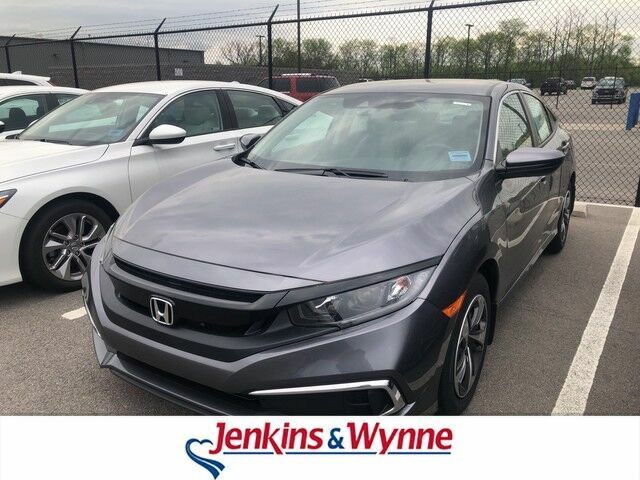 Contact Jenkins & Wynne today for information on dozens of vehicles like this 2019 Honda Civic Sedan LX. This Honda includes: MODERN STEEL METALLIC GRAY, CLOTH SEAT TRIM Vinyl Seats Cloth Seats Leather Seats Premium Synthetic Seats *Note - For third party subscriptions or services, please contact the dealer for more information. * This is about the time when you're saying it is too good to be true, and let us be the one's to tell you, it is absolutely true. You could keep looking, but why? You've found the perfect vehicle right here. The Honda Civic Sedan LX will provide you with everything you have always wanted in a car -- Quality, Reliability, and Character. Although every reasonable effort has been made to ensure the accuracy of the information contained on this window sticker, absolute accuracy cannot be guaranteed. Vehicle information is based off standard equipment and may vary from vehicle to vehicle. The prices are subject to change. Price does not include applicable tax, title, license, and doc fee.